Warning! Handles save lives. We do not recommend the use a spearfishing float that does not have handles! 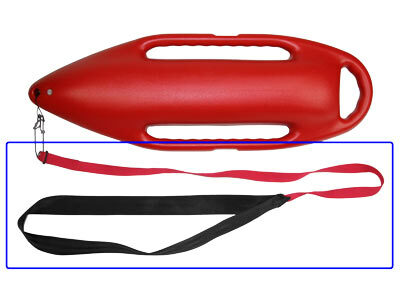 Quickly changes from Spearfishing float to Rescue Throw/Tow Float. The removable plug allows for filling with foam if desired and the wide grip handles provide additional security for resting and rescue. 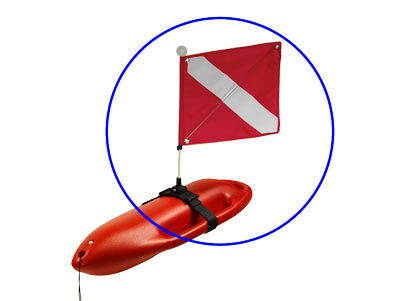 Optional: Custom made Florida Legal Dive Flag with Strap, Flag Pole Holder, Flag Pole and puncture proof safety ball can be quickly removed for throwing or swim towing in emergency situations. 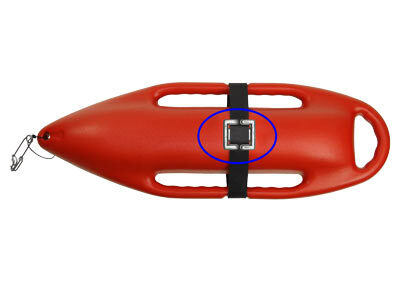 Optional: 2 lb weight keeps flag upright and optional shoulder strap is available for rescue situations. Specifications: 33” L x 11” W x 5.5”H with a girth of 26.5"
Use it for both scuba and free diving marker. Great low drag float / diving marker. Also a lifesaver if you have a snorkeling partner have any issues in rough water or tides . I am so impressed with the quality of my flag/bouy/weight/tow strap combo. Mako shipped immediately and helped me find the most cost-effective shipping method halfway around the globe. I snorkel at least 2 days a week, often 1/2 mile offshore and needed an upgrade from the cheap inflatable I am used to. I have complete confidence in my visibility and safety now. We bought 2 complete systems and we have already seen dolphins, a snowflake moray, ulua, and green turtles offshore by our second use! Thanks so much for the quality products and great service! !